In case of distress at sea, on land or in the mountains, the first reflex is to use your mobile phone. However, and this is often forgotten, the use of mobile phones is not always possible (no network available, phone unloaded, man overboard,...). The emergency beacon then becomes the essential equipment to increase its chances of survival and benefit from fast and effective rescue. These beacons use the Cospas-Sarsat satellite network. The coverage is worldwide and their use does not require any subscription. EPIRBs are quite cumbersome but can float. They transmit for a minimum of 48 hours. EPIRBs are mandatory on all professional vessels, regardless of size. They are also mandatory for boaters in the event of offshore navigation (more than 60 miles from the coast). In the event of a shipwreck, the EPIRB can be activated automatically and is released from the boat to transmit distress even if your ship has sunk. If you are sailing far from the coast, the EPIRB is an essential safety element. These beacons are very interesting because they are very compact and lightweight like SIMY's My-AIS model. They do not require a subscription and can be attached to the lifejacket without restricting movement. These beacons have a fixing clip for the buccal tip of the vest - this makes assembly easier. Once activated, the beacon transmits the shipwrecked person's GPS position on the AIS network as well as a standard distress message. At sea, ships exchange data on their positions, speeds, headings, etc. in order to avoid collisions. AIS provides immediate visibility of the position of nearby vessels. Ships equipped with AIS transceivers are now very numerous and growing. All professional vessels have them, but also a large number of yachtsmen. From 1 January 2017, fixed VHF on board becomes mandatory for all vessels sailing more than 6 miles from the coast. It is then interesting to opt for a DSC-compatible VHF (this type of VHF is compatible with AIS). Simply connected to a GPS, this VHF DSC will display the positions of the ships around you via a map reader. If an AIS beacon is activated near ships equipped with AIS, they will then receive a "Man OverBoard" alert. The GPS position of the shipwrecked vessel will be displayed on the AIS receiver and the nearest vessels will be able to divert to provide immediate assistance. If you fall into the water and your ship is equipped with AIS, then the AIS will sound and the other crew members on the ship can immediately respond. 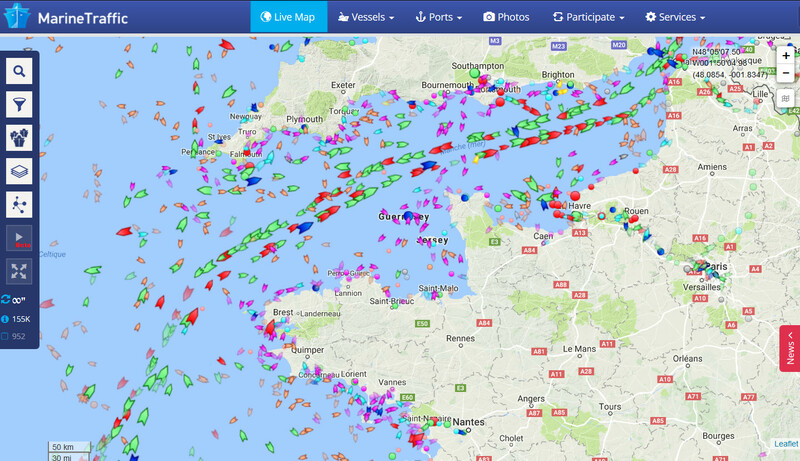 You can also see the importance of the maritime community equipped with AIS by visiting www.marinetraffic.com. You will find a map of AIS vessels in real time. AIS distress beacons are based on solidarity at sea. The entire community of sailors in the vicinity will be able to assist the user in case of danger. 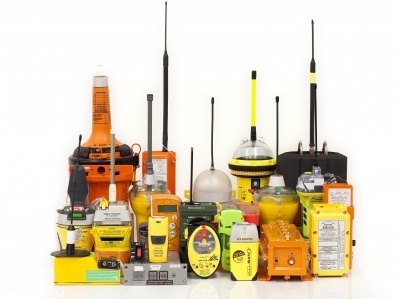 AIS distress beacons allow a quick response from surrounding vessels within radio range. These beacons use paid satellite networks (Globalstar, Spot, Iridium...). Their services are complemented by tracking, help request and SMS messaging functions. They all include a GPS chip to transmit the position. Apart from the cost of the beacon, the prices can be high, around 15 to 20€ per month. See below for an example of a rate with the SPOT beacon.